What Is Blockchain & What Does It Have To Do With Healthcare? The medical and healthcare industries are in a state of constant forward motion. New discoveries and technologies translate into a constantly evolving industry, and this also applies to administration and finance, not just the treatments themselves. We’ve already seen one big change in data organization and transactions thanks to the debut of electronic health/medical records, but things don’t stop there. There’s a new type of technology known as “blockchain,” and while it’s not related to the medical industry in terms of treatment, it’s been getting a lot of coverage and discussion. 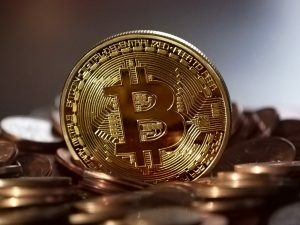 If you’re familiar with the new digital currency known as “bitcoin,” then you may already have some inkling of the possible applications this technology has. We’re going to cover some of the general advantages here. Blockchain has some similarities to bitcoin because it comes from the same person that invented bitcoin, and uses some of that technology. So, in the same way, that bitcoin is, in some ways, an ideal form of currency because it cannot be counterfeited, and every bitcoin itself is easily traceable and verifiable, the same is true of blockchain. But where bitcoin purely exists as currency, blockchain applies to general data, but still contains the same advantages of being impossible to counterfeit and easy to verify once data has been entered. This means that any data that is using blockchain technology is 100% legitimate and its authenticity cannot be questioned. For medical records, this is a big relief. As with bitcoin, blockchain is also encrypted and secure. This means that the data cannot be read or used by anyone without the explicit authority to do so. Even if a data breach were to occur, and people could get inside a database to view the information there, the encryption of blockchain data prevents outsiders from actually being able to read or use that data themselves. Because of this, additional, more expensive measures to encrypt data for safety are no longer required, as blockchain automatically performs this function. It eliminates another expensive but necessary step in making sure data is secure and only accessible and useable by those authorized. Blockchain is standardized, meaning that if others adopt using this technology for medical data, it can be easily used for a variety of different purposes. In addition to simply being a secure, verifiable form of medical information, data based on blockchain can easily be transferred and used for healthcare exchange, claims adjudication and billing management, drug supply chain integrity and provenance, and even pharma clinical trials and population health research. In other words, it can become a basic building block of medical data that can go anywhere without requiring new standards or formats. This, combined with the security and verifiability of the technology, can make the healthcare industry’s “data life” much easier by having a secure, universal standard that is easy to apply and distribute, while still being safe. Of course, these are early days for this technology, but the promise is there. It will be interesting to see how this can streamline so many separate data-related processes and bring them under one roof, passing the savings onto everyone. Rev-Ignition strives to bring the latest in healthcare and revenue cycle management to you, if you have questions about our offerings contact us at sales@rev-ignition.com or (844) 297-9944.